Thursday 30th June 2016 – 9.50am – Jamie Arrowsmith. A man has been airlifted to one of the region’s major trauma centres after his car crashed into a tree yesterday (Wednesday), a collision which saw the engine thrown from the vehicle. West Midlands Ambulance Service was called to the B4385 in Little Brampton, near to Bishop’s Castle, just before 4.20pm and sent an ambulance, a paramedic area support officer and the Midlands Air Ambulance from Cosford to the scene. A West Midlands Ambulance Service spokesman said: “Crews discovered a car that had been seriously damaged in the collision with its engine lying in the middle of the road having been ripped from the car. “There was one patient, a man who was treated for a fractured jaw, chest and abdominal injuries. Thursday 30th June 2016 – 9.30am – Jamie Arrowsmith. A car driver has received emergency treatment from ambulance staff and been taken to hospital after her car crashed into a tree in the early hours of this morning. West Midlands Ambulance Service was called to Albany Road, Coventry, at 3.10am and sent an ambulance and a paramedic area support officer to the scene. A West Midlands Ambulance Service spokesman said: “On arrival, crews discovered a car that had suffered significant damage after colliding with a tree. “The damage suffered to the car meant accessing the patient was difficult and ambulance staff had to work carefully to assess the driver, a woman believed to be in her 20s. Wednesday 29th June 2016 – 11.20am – Jamie Arrowsmith. A woman was incredibly fortunate to walk away uninjured following a two-car collision yesterday (Tuesday) which saw her car roll onto its roof. West Midlands Midlands Ambulance Service was called to the junction of Broadway and Birmingham Road in Walsall, at 3.15pm, and sent an ambulance, a paramedic area support officer and the West Midlands Care Team to the scene. A West Midlands Ambulance Service spokesman said: “We arrived on scene to find a car on its roof and five patients in total, one of whom was from the car that had overturned. “Amazingly, the woman in that car did not suffer any injuries and following assessment from ambulance staff was discharged at the scene. Thankfully luck was on her side to walk away uninjured. Tuesday 28th June 2016 – 11.30am – Jamie Arrowsmith. A woman has been airlifted to hospital after being trapped in her car for about 90 minutes following a four-car road traffic collision in Worcestershire this morning. West Midlands Ambulance Service was called to the A442 in Hampton Lovett, shortly after 8.30am and sent two ambulances, a paramedic area support officer and the Midlands Air Ambulance from Strensham to the scene. A West Midlands Ambulance Service spokesman said: “Crews arrived to find four cars that had been in collision, two of which had suffered substantial damage. “The driver of one of those cars, a woman in her 50s, was trapped as a result of the damage. “After ambulance crews assessed her, they worked closely with the fire service to carefully cut her free, a process which involved cutting the roof from her car. “She was treated for a suspected fractured right leg, immobilised and given pain relief before being airlifted to Worcester Royal Hospital. “The driver of a second badly damaged car, a man thought to be in his 60s, was assisted out of his vehicle and treated for minor injuries and the effects of shock. “Another male driver, believed to be in his 20s, managed to free himself from his car and was treated by ambulance staff for a back injury and given pain relief. “Both men were then taken to Worcester Royal Hospital by land ambulance. Monday 27th June 2016 – 5.00pm – Claire Brown. A woman has received trauma care by ambulance staff after being kicked by a horse in Worcestershire this afternoon. West Midlands Ambulance Service was called to Wolverley at around 1.30pm (Monday). An ambulance, a community paramedic and the Midlands Air Ambulance from Strensham attended. Monday 27th June 2016 – 9.45am – Claire Brown. A three-year-old girl was at the centre of a serious case last night in Birmingham following a road traffic collision. 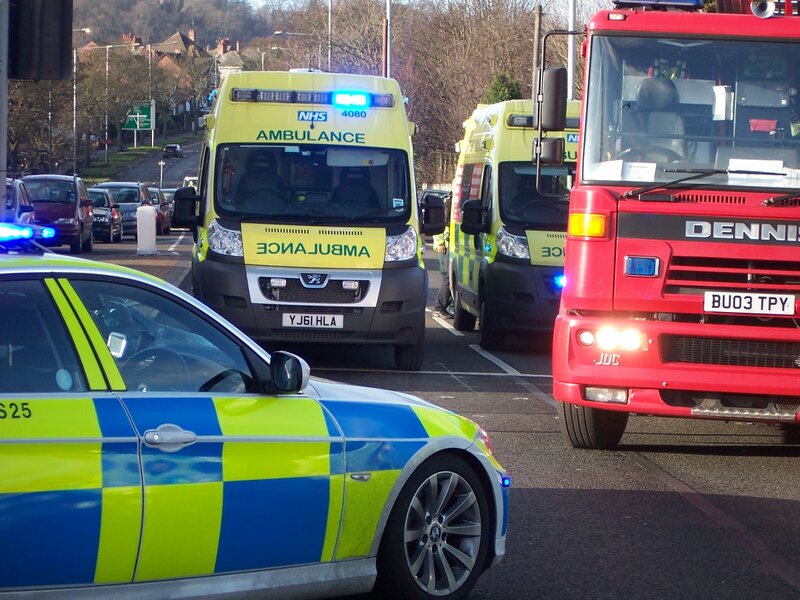 West Midlands Ambulance Service was called to reports of a collision between a pedestrian and a car near to the junction of Brockworth Road and Bells Lane in Druids Heath at around 7.15pm yesterday (Sunday). An ambulance, a responder paramedic and a MERIT trauma doctor attended. A West Midlands Ambulance Service spokeswoman said: “A three-year-old girl had sustained a serious head injury which required immediate trauma care on scene. The girl was then taken by land ambulance on blue lights to Birmingham Children’s Hospital; the trauma doctor travelled in the ambulance to continue treatment en route. Monday 27th June 2016 – 8.50am – Claire Brown. A collision in Herefordshire yesterday afternoon saw a woman sadly lose her life and her two young girls suffer serious injuries. West Midlands Ambulance Service was called to reports of a two car collision on the A44 at Monkland in Leominster at 2.20pm (Sunday). Two ambulances, a paramedic area support officer, a doctor from Mercia Accident Rescue Service (MARS) and two air ambulances (Warwickshire and Northamptonshire Air Ambulance and Wales Air Ambulance) were sent to the scene. A West Midlands Ambulance Service spokeswoman said: “Sadly it quickly became apparent to ambulance staff that nothing could be done to save a woman, the driver of one car, and she was confirmed dead on scene. “In the same car were two young girls, believed to be aged eight and five, who had both sustained serious injuries. Ambulance staff together with the doctor and helicopter medics worked to stabilise the girls’ injuries and administer advanced analgesia whilst the fire service extricated them from the wreckage. “Once released from the vehicle, the girls were fully immobilised before both airlifted to Birmingham Children’s Hospital for further specialist trauma care. Friday 24th June 2016 – 2.15pm – Claire Brown. A paramedic from Birmingham is set to join a team of fellow army reservists on a gruelling charity expedition to the South Pole later this year. At the age of 16, Chris Brooke joined the army and served with the Cheshire Regiment. In 2010, he started his career as a paramedic and has worked for West Midlands Ambulance Service since 2012 based in Birmingham. His love of the Army remains and, as a serving reservist, Chris has been successful in joining a six-man team from the British Army Reserves for an expedition like no other to the South Pole in a bid to raise £100,000 for the Army Benevolent Fund (ABF), the soldiers’ charity. In November, the team called SPEAR17′ (South Pole Expedition Army Reserves), will be dropped by ski plane on the coastline of Antarctica. From there they will attempt to ski over 1,100 miles unsupported across the polar continent to the Geographic South Pole. Each man will be hauling an individual pulk (a type of sledge used to transport supplies) weighing approximately 160kg containing everything they need to survive for three months on the ice. The expedition will face many challenges along the way including the harsh polar weather, crevasses, whiteout conditions, a climb from sea level to 10,000ft, isolation from the outside world and the constant mental and physical battle of manhauling their pulks across the ice. Chris, 34 from Cofton Hackett, is an avid supporter of ABF and said: “I’m always striving for new challenges and adventures but this is nothing like I’ve ever experienced before and is a once in a life time opportunity. I’m looking forward to it but a part of me is naturally apprehensive too. Antarctica is the coldest (-93°C), windiest and most inhospitable place on the planet but I’m told it’s also one of the most beautiful and rewarding places to travel in. It will test my endurance and physical fitness to the limit and, as you’d expect there’s lots of training to be done beforehand. To donate, please visit https://www.justgiving.com/spear17. The team are also on the lookout for corporate partners so if you’d like to provide sponsorship please visit www.spear17.org/supporters/support-us/. Photo 2 – Chris at work. Photo 3 – SPEAR17 team (left to right) Alex Brazier, Ollie Stoten, Expedition Leader Lou Rudd, paramedic Chris Brooke, Ian Quigley (*reserve), Alun George, Matt Brocklehurst (reserve), Jamie Facer-Childs. *reserves are two extra people in case any member of the team of six SPEAR17 drops out. The team are currently being sponsored by 7R Performance, Mountain Equipment and CNP. Friday 24th June 2016 – 8.45pm – Claire Brown. Four men needed treatment by ambulance staff last night after a collision involving a taxi and a car in Walsall. West Midlands Ambulance Service received several 999 calls to reports of an RTC on the Walsall Road in Great Wyrley at 7.00pm (Thursday). Three ambulances, a MERIT trauma doctor and a paramedic area support officer attended the scene together with the police and fire service. A West Midlands Ambulance Service spokeswoman said: “The taxi driver, a man in his 30s, suffered neck and back pain in the collision. Ambulance staff immobilised him with a neck collar and spinal board before he was taken to Walsall Manor Hospital. Two passengers in the taxi were also injured. 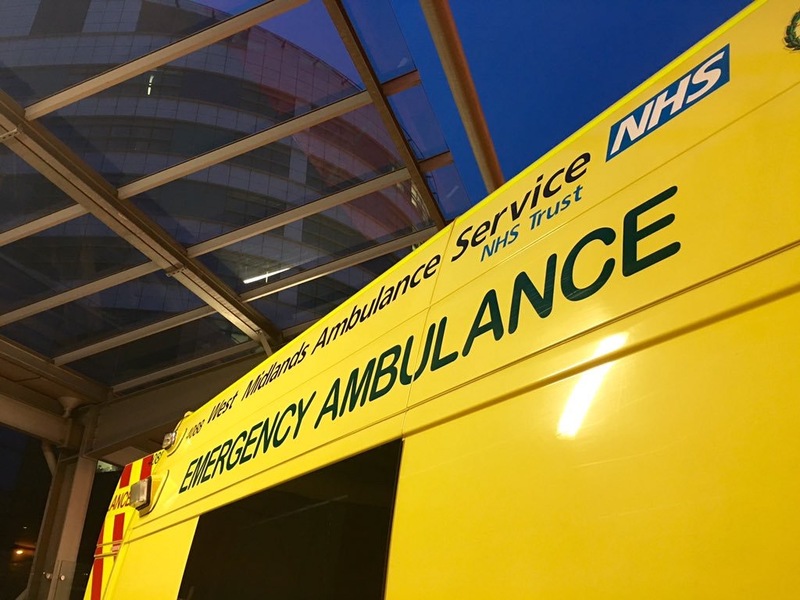 A 66-year-old man sustained serious facial injuries and, following on scene treatment by the medic, he was taken by land ambulance on blue lights to Queen Elizabeth Hospital Birmingham. The second passenger, a man in his 70s, had a minor head injury which required further treatment at Walsall Manor Hospital. Wednesday 22nd June 2016 – 5.53pm – Murray MacGregor. An elderly woman has suffered potentially serious crush injuries after being caught between a car and a bus. The incident happened on Castle Road West in Oldbury at about 10.00am this morning (Wednesday). An ambulance, a rapid response vehicle and a senior paramedic officer were sent to the scene. A West Midlands Ambulance Service spokesman said: “The woman was standing next to the car when the collision happened. “She suffered a suspected fractured pelvis in the crash that left the car with damage down the (passenger) nearside. “Ambulance staff immobilised the woman, who was in her 70s, with a neck collar, spinal board and pelvic binder before taking her to the major trauma centre at the Queen Elizabeth Hospital Birmingham. Tuesday 21st June 2016 – 1.45pm – Claire Brown. The family of a Birmingham man who died playing football last year have raised enough money to donate not one but eight defibrillators to leisure facilities in his memory. Adele Pogmore’s Dad, 65-year-old Egidio (Eddie) Pulisciano, was playing football at Leasowes Sports Centre in October when he suffered a cardiac arrest a few minutes into the game. 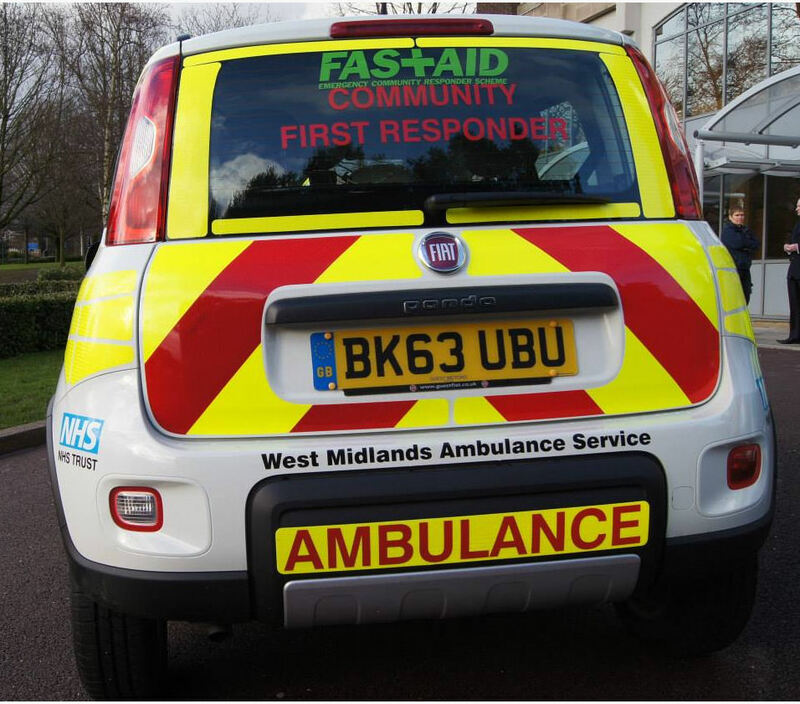 Despite excellent bystander CPR and a swift response by West Midlands Ambulance Service Eddie sadly died. Adele contacted the Trust’s Community Response Manager Andy Jeynes who was instrumental in helping the family buy not one but eight defibrillators. Physio Control, as part of their charitable function, were able to support the purchases of the defibrillators meaning that Eddie’s family could afford to not only buy more defibrillators than they could have otherwise but also the equipment to house them. The family have donated devices to places in Birmingham which meant something to Eddie; Leasowes Sports Centre, Lea Marston Hotel & Golf, Harborne Golf Club, Wishaw Cricket Club, Birmingham Botanical Gardens, Edgbaston Reservoir, Sutton Park, Futsall five-a-side in Birmingham. At the beginning of April, Andy Jeynes and Ben Mundigian from Physio Control trained 10 staff from several of the donation sites in basic first aid and how to use a defibrillator. Andy and Ben have since trained further staff on the various donation sites including 16 at Futsall. Tuesday 21st June 2016 – 9.00am – Claire Brown. A teenage boy has died and several other people have been injured after a collision involving two cars and a tractor in Stoke-on-Trent last night. West Midlands Ambulance Service was called to the A53 Leek Road, Endon at 8.00pm (Monday). Four ambulances, a community paramedic, a senior paramedic officer and two North Staffordshire BASICS doctors attended. A West Midlands Ambulance Service spokeswoman said: “Upon arrival crews found a car and a tractor which had sustained significant damage following a collision. A passenger in the car, a 14-year-old boy, was in a critical condition and received advanced life support at the roadside by ambulance staff and medics before being rushed to Royal Stoke University Hospital. Sadly, despite the best efforts of our staff and hospital medics nothing could be done to save the boy and he was confirmed dead in hospital. “Ambulance staff also treated a 17-year-old girl who had sustained pelvic and neck injuries in the collision. She was given pain relief before being immobilised with a neck collar and spinal board. A 19-year-old boy suffered shoulder, arm and abdominal injuries and was stabilised on scene before both patients were conveyed to Royal Stoke University Hospital for specialist trauma care. “Two further girls, thought to be aged in their late teens or early 20s, were also assessed and treated on scene for minor injuries and the effects of shock. Monday 20th June 2016 – 5.35pm – Jamie Arrowsmith. A car driver has been treated for leg and chest injuries after his vehicle left the road and collided with a tree up a grass bank this afternoon. West Midlands Ambulance Service was called to the A444 in Coventry, between Bedworth and junction three of the M6, at 4.15pm. An ambulance and a paramedic area support officer were sent to the scene. A West Midlands Ambulance Service spokesman said: “On arrival crews discovered a car, which had suffered significant damage, resting against a tree up a grass bank, after it is believed to have collided with another car and the central reservation before leaving the road. “The driver, a man thought to be in his 20s, was treated for injuries to his leg and chest and immobilised at the scene. “He was then transported to University Hospital Coventry and Warwickshire for further treatment with the hospital having been alerted to the man’s condition prior to his arrival. Monday 20th June 2016 – 2.40pm – Jamie Arrowsmith. Two people had to be cut free from their car following a collision with a lorry this morning. West Midlands Ambulance Service was called to the A4117 in Clee Hill shortly before 9.30am and sent two ambulances, a paramedic area support officer and a medical first responder to the scene. A West Midlands Ambulance Service spokesman said: “On arrival, crews discovered a car with rear end damage and a lorry that had been involved in collision. “There were two patients, both from the car and both of whom were trapped as a result of the damage caused. “After assessing the patients, ambulance staff worked closely with the fire service to free them after the side of the car had been cut away. “The passenger, a woman believed to be in her 60s, was immobilised with the use of a neck collar and spinal board and treated for a neck injury before being taken to Hereford County Hospital. “The man, also believed to be in his 60s, was also treated for neck pain and travelled to the same hospital. Monday 20th June 2016 – 10.45am – Jamie Arrowsmith. A woman has died after the car she was travelling in collided with a tree yesterday morning (Sunday). West Midlands Ambulance Service was called to Fosse Way, in Moreton Morrell, Warwick, shortly after 9.15am and sent two ambulances, a paramedic area support officer and the Warwickshire and Northamptonshire Air Ambulance to the scene. A West Midlands Ambulance Service spokesman said: “On arrival, crews were told that the car had collided with a tree after leaving the road. “The driver, a woman, was found to have suffered extremely serious injuries. “Unfortunately, it quickly became apparent that nothing could be done to save her and she was confirmed dead at the scene. Friday 17th June 2016 – 9.00am – Claire Brown. Two men have been injured after a two vehicle collision left one van on its side in Kingsbury this morning. West Midlands Ambulance Service was called to the Kingsbury Road, near to the Oil Terminal at 6.45am today (Friday). Two ambulances and a paramedic area support officer attended. A West Midlands Ambulance Service spokeswoman said: “Crews arrived to find a van on its side and a car with significant damage following a collision. The van driver, a man in his 50s, was trapped in the vehicle due to the position it had landed. Upon assessment ambulance staff found he had sustained neck and pelvic pain and was given pain relief before the fire service worked around them to release the man from the van. Once extricated, he was immobilised with a neck collar and spinal board before being taken to Heartlands Hospital for further care. Thursday 16th June 2016 – 3.40pm – Claire Brown. A man has died in a collision involving a lorry in Birmingham this afternoon. West Midlands Ambulance Service was called to Birmingham Trade Park on the Kingsbury Road in Tyburn, Erdington, shortly before midday after reports of a collision between a pedestrian and lorry. Two ambulances and a paramedic area support officer were sent to the scene. A West Midlands Ambulance Service spokeswoman said: “Sadly, it quickly became apparent to ambulance staff that nothing could be done to save the pedestrian, a man, and he was confirmed dead on scene. Wednesday 15th June 2016 – 6.08pm – Murray MacGregor. A man has suffered a very serious head injury after falling about 3 metres onto concrete whilst working on fitting out a building. It happened at a property on Tyburn Road in Birmingham at around 2.50pm on Wednesday afternoon. An ambulance was on scene within seven minutes and was backed up by a second ambulance, a paramedic area support officer and the Midlands Air Ambulance from Cosford with a Trauma doctor on board. A West Midlands Ambulance Service spokesman said: “On arrival, ambulance staff found a man who had serious head and chest injuries. Tuesday 14th June 2016 – 4.05pm – Jamie Arrowsmith. A West Midlands Ambulance Service spokesman said: “Crews arrived to find the patient, a woman thought to be in her 60s, lying in the road following the collision. “The woman, who remained conscious throughout, was treated for a serious head injury and a leg injury. “She was immobilised with the use of a neck collar and spinal board and given pain relief before being transported to Royal Stoke University Hospital. “The doctor travelled with the patient to continue treatment en-route but thankfully the woman’s injuries are not thought to be life threatening. Tuesday 14th June 2016 – 3pm – Jamie Arrowsmith. A car driver has been airlifted to hospital after being rescued through the roof of his vehicle following a collision with a house this morning. West Midlands Ambulance Service was called to Church Street in Cleobury Mortimer, near to the Market Hall, shortly before 11am and sent an ambulance, a medical first responder and the Midlands Air Ambulance from Strensham to the scene. A West Midlands Ambulance Service spokesman said: “On arrival, crews discovered the driver, a man believed to be in his 80s, trapped inside a severely damaged car. “After assessing the man it became apparent he was not seriously injured, so a controlled procedure took place to free him from the vehicle. “Crews worked closely with Shropshire Fire Service, West Mercia Police and an off duty nurse who had stopped to offer assistance to free the man. “He was immobilised with a KED, a specialist rescue stretcher, and lifted out through the roof after approximately an hour. “The man was treated for minor cuts to his hand and face as well as back pain. “He was given pain relief and transported by land ambulance to the nearby air ambulance which had landed on some nearby sports fields. He was then airlifted to Worcester Royal Hospital. “Ambulance crews would like to thank everyone who offered assistance in rescuing the man from the car. Monday 13th June 2016 – 12.20pm – Jamie Arrowsmith. If you were stuck in traffic in and around Rugby this morning, the reason will most likely have been one of three serious RTCs that took place during the Monday morning rush hour. At 8.11am, West Midlands Ambulance Service was called to reports of a collision between a car and a pedestrian on Newbold Road, near to Avon Valley School. A West Midlands Ambulance Service spokesman said: “On arrival, crews discovered a 15-year-old boy who was fully conscious and alert. “He was treated for a serious neck injury as well as cuts and bruises. He was immobilised with the use of a neck collar and scoop stretcher, given pain relief and transported to University Hospital Coventry and Warwickshire. Just a minute later another 999 call was received to reports of a collision between a car and a motorbike at the junction of Brownsover Road and Leicester Road. An ambulance, a paramedic area support officer and the Warwickshire and Northamptonshire Air Ambulance were sent to the scene. A West Midlands Ambulance Service spokesman said: “The motorcyclist, a man believed to be in his 50s, was lying in the road when crews arrived. “He was treated for injuries to his chest, abdomen, pelvis, back and shoulder. “Crews immobilised him, including the use of a pelvic splint, administered pain relief and transported him to University Hospital Coventry and Warwickshire by land ambulance. Earlier in the morning at 7.57am, a call was made concerning a collision between a car and a cyclist on Viaduct Close. An ambulance and a paramedic area support officer attended the scene. A West Midlands Ambulance Service spokesman said: “Crews were told that the cyclist, a man thought to be in his 50s, had been thrown over his handlebars after colliding with a stationary car. “Ambulance staff treated the man for a head injury and suspected fractured elbow. He was immobilised and given pain relief before also being taken to University Hospital Coventry and Warwickshire. Monday 13th June 2016 – 10.50am – Jamie Arrowsmith. A young boy has been airlifted to hospital after suffering serious injuries following a collision with a car this morning. West Midlands Ambulance Service was called to the junction of Hemlock Way and Sidon Hill Way in Heath Hayes, Cannock, shortly after 8.20am. An ambulance, a paramedic area support officer, a community paramedic in a rapid response vehicle, a community first responder and the Midlands Air Ambulance from Cosford were sent to the scene. A West Midlands Ambulance Service spokesman said: “Crews arrived to find a 12-year-old boy with a number of serious injuries following a collision with a car. “He was assessed and treated for head, arm, leg and abdominal injuries. “He was immobilised and given pain relief and airlifted to Birmingham Childrens Hospital. “Unfortunately, his injuries are thought to be extremely serious. Saturday 11th June 2016 – 7am – Jamie Arrowsmith. Those are the words of West Midlands Ambulance Service’s Motorcycle Paramedic Steve Harris who has been made an MBE in the Queen’s Official Birthday Honour’s List. Affectionately known as Forrest by colleagues and fans of Channel 5’s Emergency Bikers, Steve joined the service in 1978 and has worked as a biker paramedic for 20 years. During that time, Steve has provided patient care to thousands of people in Birmingham City Centre and beyond. The award of the MBE comes just a year after Steve, from Smethwick, received a President’s Commendation at the Ambulance Service Institute Awards at the House of Lords. Speaking about being made an MBE, Steve said: “I am a mixture of totally thrilled and gobsmacked. “I don’t understand why I am being singled out for this award, it feels like I am being recognised for turning up to work, but I am incredibly grateful. “It is very humbling that someone thinks I am worthy of being nominated and even more so that it has been accepted. Friday 10th June 2016 – 3.35pm – Jamie Arrowsmith. A man has suffered multiple serious injuries after falling from his moped this afternoon. West Midlands Ambulance Service was called to reports of a collision between a car and a moped at the junction of Roman Way and the A38 in Droitwich at 12.20pm and sent an ambulance and the Midlands Air Ambulance from Cosford to the scene. A West Midlands Ambulance Service spokesman said: “The rider of the moped, a man believed to be in his 60s, was lying on the road, near to a roundabout, when crews arrived. “The man, who remained conscious throughout, had suffered serious injuries including a suspected fractured pelvis. “He was assessed and treated and scene, given pain relief and immobilised before being taken to Queen Elizabeth Hospital Birmingham by land ambulance. The doctor from the air ambulance travelled with the patient to continue treatment en-route. Friday 10th June 2016 – 11.00am – Murray MacGregor. West Midlands Ambulance Service has scooped a new non-emergency patient transport service (PTS) contract which means it will provide over one million patient journeys a year across our contracts. After a competitive tender, the Trust has been awarded the contract to provide PTS services for the Wolverhampton and Dudley areas. This is the first time that WMAS has provided this service for many years. The multi-million pound contract means the Trust will complete about 160,000 patient journeys a year to New Cross and Russells Hall Hospitals as well as a number of other venues. The contract is for 3 years with an option of a further 2 years. WMAS Commercial Services Director, Mark Gough, said: “This is excellent news for West Midlands Ambulance Service and re-affirms our commitment to try and grow our PTS services as much as possible. “We now have over 60% of the PTS market in the West Midlands which equates to over 1 million journeys a year; it is also a figure that we are working hard to grow still further. The exact value of the contract is commercially confidential. Louise Jones is the last of our Governors to be featured in our Volunteer Week Celebrations. Louise is one of three public Governor for our West Mercia constituency (Worcestershire, Herefordshire and Shropshire). A Chartered Physiotherapist by profession, Louise Jones is currently Deputy Pro Vice Chancellor Partnerships and Strategic Director for Health and Wellbeing at the University of Worcester. Her previous roles have included Head of Physiotherapy and Occupational Therapy at University of the West of England and Head of the Institute of Health and Society at the University of Worcester. She is a past chair of the West Midlands Deans group for Universities UK and the West Midlands Strategic Alliance for Health Education. A Council member for several years, Louise had the honour of being elected Vice Chair of the Chartered Society of Physiotherapy for two years, after which she became a Vice President of the Society for the following four years. Louise is also a past executive member of the UK Council of Deans of Health. “I decided to put myself forward as a Governor as I wanted to give something back to my community. As part of Louise’s Governor role, she also sits on the Trust’s Constitutional Development Forum. If you are interested in finding out more about becoming a Governor for WMAS and would like us to notify you of when a vacancy within your local area becomes available, please contact us via foundationtrust@wmas.nhs.uk with your name, where you live and contact details. Why be a volunteer Governor? Over the last nine days we have featured a variety of Governor profiles from around the region to help celebrate ‘volunteers’. Today it’s the turn of John Davies. John represents the Coventry and Warwickshire Constituency. John’s volunteering first started when he took an interest in First Aid, joining the Red Cross in his local branch and later within County Training. His volunteering went from leaps to bounds and he has since taken on roles within Warwickshire Constabulary as a Special Constable, rising to the equivalent rank of Inspector. He volunteered for the Royal Corps of Transport Territorial Army alongside training and qualifying as a Reader (lay preacher) in the C of E.
John also is a volunteer Community First Responder, responding to emergencies on behalf of West Midlands Ambulance Service within his rural community. “I’ve had a long interest of volunteering with a leaning towards helping the community. In my role of Community First Responder, as well as living in a rural community myself, I am strongly aware of the issues that rural communities can face. If you would like us to notify you of when a vacancy within your local area becomes available, please contact us via foundationtrust@wmas.nhs.uk with your name, where you live and contact details. Thursday 9th June 2016 – 3.40pm – Murray MacGregor. A motorcyclist has died after a crash at a roundabout outside a golf club. It happened on the A456 outside Wharton Park Golf Club at Long Bank, Bewdley at about 11.30am this morning (Thursday). A rapid response vehicle, an ambulance, a paramedic area support officer and the Midlands Air Ambulance from Cosford with the MERIT trauma doctor on board were sent to the scene. A West Midlands Ambulance Service spokesman said: “On arrival, the man was found unconscious a short distance from his bike. It was the only vehicle involved. Wednesday 8th June 2016 – 3.40pm – Claire Brown. Whether you’re a cricketer, footballer, walker or cyclist, an athletic club in a South Staffordshire village is primed and ready if the worst should happen. Enville Athletic Social Club is now home to a community defibrillator from the British Heart Foundation; a device used to help restart the heart of someone in cardiac arrest. At the end of May, 12 volunteers from the running section were given a hands-on training session in basic life support, CPR and how to use their new device by the Trust’s Community Response Manager Andy Jeynes. David Thomas, Chairman at Enville Athletic Social Club, said: “The Club would like to thank the British Heart Foundation for the supply of the unit which will be available for use by the members of the Football and Cricket Clubs, running section, Enville village, Enville estate as well as the walkers, cyclists and hikers that use the Staffordshire Way. Andy Jeynes, Community Response Manager, said: “A busy sports and leisure venue such as this is a prime location for a defibrillator. With an estimated 60,000 out-of-hospital cardiac arrests in the UK each year, the chance of a person surviving a cardiac arrest falls by 10 per cent for every minute that passes without an AED being used. Wednesday 8th June 2016 – 11.50am – Claire Brown. A large fire at a commercial building in Evesham has left one man with serious burns this morning. West Midlands Ambulance Service received a call from the fire service at 9.30am (Wednesday) to reports of an explosion near to Honeybourne Airfield in Honeybourne, Evesham. An ambulance, a community paramedic, the Midlands Air Ambulance from Strensham, paramedics from the Trust’s Hazardous Area Response Team and a senior paramedic officer attended. A West Midlands Ambulance Service spokeswoman said: “When ambulance staff arrived they found a 55-year-old man who had suffered burns to his face, head and arms. In order to stabilise his condition, the man was given pain relief before his wounds were treated and covered with specialist burns dressings. The man was then taken by land ambulance on blue lights to Queen Elizabeth Hospital Birmingham, a specialist burns centre, for onward care. Wednesday 8th June 2016 – 10.50am – Claire Brown. A motorcyclist received advanced trauma care from the ambulance service this morning following a collision involving a car in Dudley. West Midlands Ambulance Service was called to Halesowen Road in Netherton at 7.15am this morning (Wednesday). An ambulance, a paramedic area support officer, a community paramedic attended along with a MERIT trauma doctor and critical care paramedic in a response car from the air ambulance base in Cosford. A West Midlands Ambulance Service spokeswoman said: “The motorcyclist, a 24-year-old man, had been in collision with a car. When the emergency services arrived the man was being given excellent first aid by an off duty nurse, staff from a local factory and passers-by. Tuesday 7th June 2016 – 11.10am – Murray MacGregor. 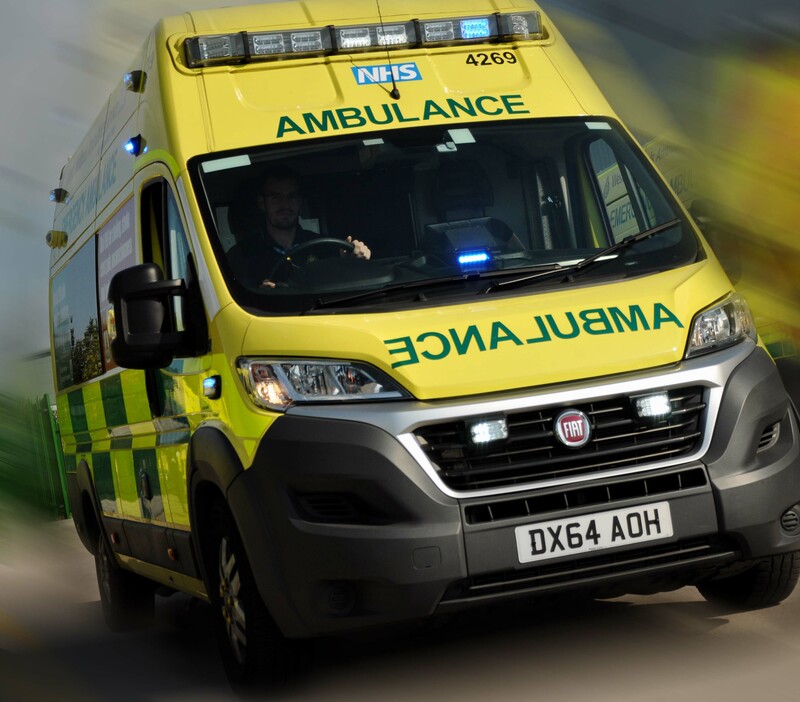 West Midlands Ambulance Service (WMAS) has awarded a multi-million pound contract to O&H Vehicle Conversions (‘O&H’) to supply the Trust with over 200 of the most technically advanced and efficient ambulances ever. After a competitive tender WMAS has awarded the £21m contract to supply 220 double-crewed, front line ambulances over the next four years. WMAS is one of the few ambulance trusts to rigidly follow a five year front line fleet replacement policy. WMAS Fleet Services General Manager, Tony Page, said: “Along with our staff, our emergency vehicles are our most important assets. The five year replacement policy means our staff are able to respond in a modern, good quality ambulance fleet that is reliable and efficient and as comfortable as possible for patients. “We have been working with our staff and O&H to come up with an innovative design that will mean better working conditions for staff which will translate into it being easier to provide good quality care to patients in their hour of need. “As well as looking at the layout of the vehicles, the ideas that O&H put into their tender were first rate. Issues such as how to reduce weight are first class. The weight saving means that they will be easier to drive, more fuel efficient, cut CO2 emissions and suffer less wear and tear, which ultimately saves money that can be reinvested in recruiting more paramedics, which can only be a good thing for patients. “We are looking at introducing Lithium Ion battery technology, solar panels as well as lighter, stronger aerospace-type build materials that will allow us to redesign the saloon that will make the lives of our staff considerably easier. WMAS covers an area of 5,000 square mile, with a population of 5.5 million. It was the only English ambulance trust to exceed every performance metric in 2015-16. Tuesday 7th June 2016 – 10.15am – Jamie Arrowsmith. A woman pedestrian has suffered serious injuries to her face and ribs following a collision with a car last night (Monday). West Midlands Ambulance Service was called to the junction of Binley Road and Humber Road in Coventry shortly before 9.50pm. An ambulance, a paramedic area support officer and the doctor from the Warwickshire and Northamptonshire Air Ambulance, who responded in a car, attended the scene. A West Midlands Ambulance Service spokesman said: “Crews arrived to find a woman in her 30s who had sustained numerous injuries in a collision with a car. “Ambulance staff treated her for fractures to her face and ribs as well as back, abdominal and pelvic injuries. Monday 6th June 2016 – 5.25pm – Claire Brown. Two women and a teenage girl needed treatment by WMAS before being taken to a major trauma centre after a two car collision in Stafford. West Midlands Ambulance Service was called to Beaconside, near to MOD Stafford, at 4.00pm (Monday). Three ambulances, a paramedic area support officer and a senior paramedic officer attended. 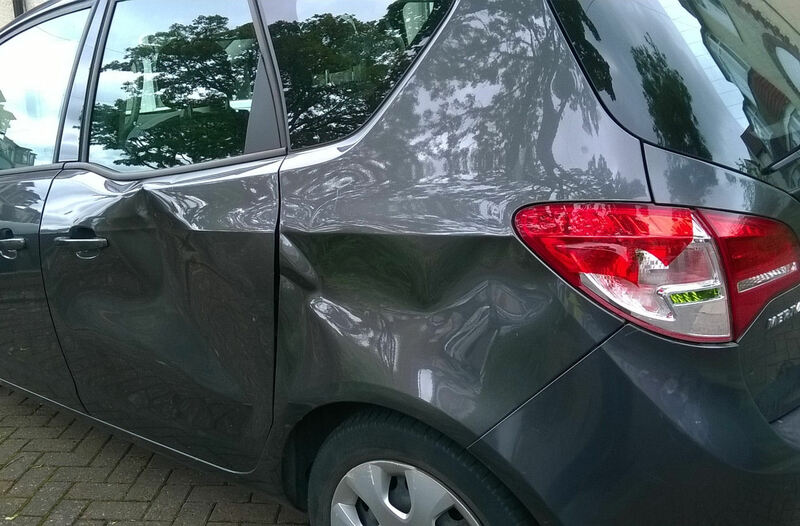 A West Midlands Ambulance Service spokeswoman said: “A mother and teenage daughter were in one car. Both were assessed by ambulance staff who found the woman had suffered abdominal and chest pain whilst her daughter had pelvic pain. Both were immobilised with neck collars and spinal boards before being taken to Royal Stoke University Hospital. Monday 6th June 2016 – 4.00pm – Claire Brown. A motorcyclist needed trauma care from ambulance staff in Coventry earlier today after a collision with a car knocked him unconscious. The incident happened at the junction of Lockhurst Lane and Northey Road in Foleshill just before 1.00pm. An ambulance, a senior paramedic officer and the Warwickshire and Northamptonshire Air Ambulance with a doctor on board attended the scene. A West Midlands Ambulance Service spokeswoman said: “When ambulance staff arrived the motorcyclist, a man in his 50s, was unconscious following a collision with a car. “Sadly, his crash helmet had cracked on impact which had resulted in him sustaining a head injury and a nasty laceration to his neck. Ambulance staff and the doctor administered trauma care to the man before he was taken by land ambulance on blue lights to University Hospital Coventry and Warwickshire; the doctor travelled in the ambulance to continue treatment en route. Monday 6th June 2016 – 10.40am – Claire Brown. 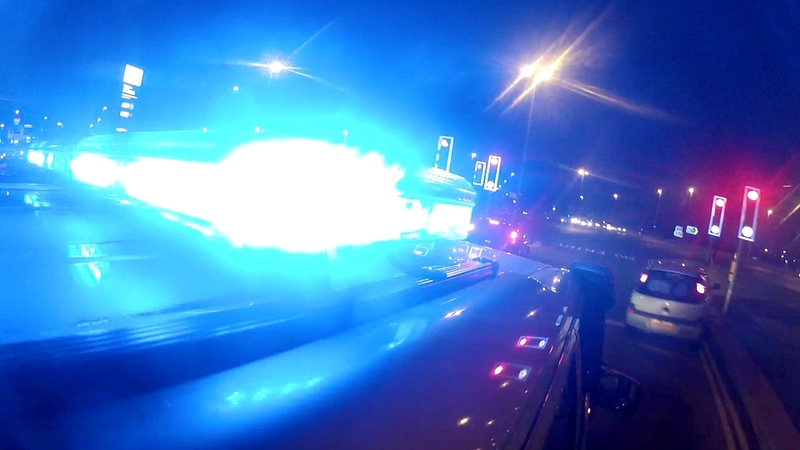 A teenage boy riding a mini motorbike received nasty injuries after colliding with a car late last night in Birmingham. West Midlands Ambulance Service was called to Tessall Lane in Longbridge just after 11.00pm (Sunday). An ambulance, a paramedic area support officer and a MERIT trauma doctor attended the scene. A West Midlands Ambulance Service spokeswoman said: “The teenage boy had been involved in a significant collision with a car; the windscreen was smashed. “Upon assessment by ambulance staff, the boy was found with nasty leg injuries as well as gravel rash to his arms, shoulder and back. “His wounds were treated and he was given pain relief before he was immobilised and taken to Birmingham Children’s Hospital for further assessment and treatment. Could you be a volunteer Governor? We are midway through this year’s national volunteers week. As part of our Governor awareness celebrations we are kicking off this sunny Monday morning with a profile from Lachman Jassi. Lachman is one of three a public Governors representing the Black Country. As part of his role, Lachman sits on the Trust’s membership engagement panel, which focuses on the best ways to communicate with our membership* as well as local communities. Talking about his role Lachman said: “I feel that being a public governor in the Black Country for WMAS has given me the opportunity to find out more and play a part in how the service is run. It has given me an insight into how the service resolves operational demand with its unique methods. Lachman’s working background was in the manufacturing and engineering industry, particularly production and design. Lachman also volunteers as a Magistrate, sitting in a variety of courts throughout the Black Country and sometimes in other judiciary areas. This is something that he has been doing since 1999. *To sign up as a member and receive information about your ambulance service please visit https://www.nhs-membership.co.uk/cms/trust.php?id=119A479D701040AFA83133FC2C38EF0E. Members must be over the age of 16 and live within the area covered by the Service (Birmingham, Black Country, Worcestershire, Herefordshire, Shropshire, Coventry, Warwickshire and Staffordshire). Friday 3rd June 2016 – 4.50pm – Claire Brown. A man has been given the best possible care by medics after a collision with a car left him needing trauma care. The incident happened outside a golf club on Ashby Road in Burton-on-Trent at 1.00pm (Friday). An ambulance and the Midlands Air Ambulance from Tatenhill airbase attended. A West Midlands Ambulance Service spokeswoman said: “When the ambulance crew arrived they found a 44-year-old man being given excellent care by off duty medics. The man had reportedly been in collision with a car and upon assessment ambulance staff found he had suffered serious injuries. Friday 3rd June 2016 – 4.20pm – Claire Brown. A man has been airlifted to a major trauma centre after falling 20 feet from a ladder in Brierley Hill this morning. The incident happened on Pensnett Road, Brierley Hill, at 11.30am (Friday). An ambulance, a paramedic area support officer, a senior paramedic officer and the Midlands Air Ambulance from Cosford with a MERIT trauma doctor on board attended the scene. A West Midlands Ambulance Service spokeswoman said: “The man, believed to be in his 70s, had fallen whilst cleaning his guttering in the back garden. Upon assessment, ambulance staff found he had sustained a serious chest injury as well as a facial injury. Due to his injuries, the team administered advanced pain relief and oxygen to help stabilise his condition on scene. The man was then immobilised and transferred to the awaiting helicopter by land ambulance as it had landed in a nearby field. During volunteers week, we are highlighting the role of our Governors. On Monday we introduced you to Adam Williams, who is one of three Governors for the Birmingham area. Today it is the turn of Eileen Cox. Eileen is currently the Trust’s lead Governor, as well as a publically elected Governor representing Staffordshire. For a considerable amount of time Eileen has worked voluntarily with the National Health Service. 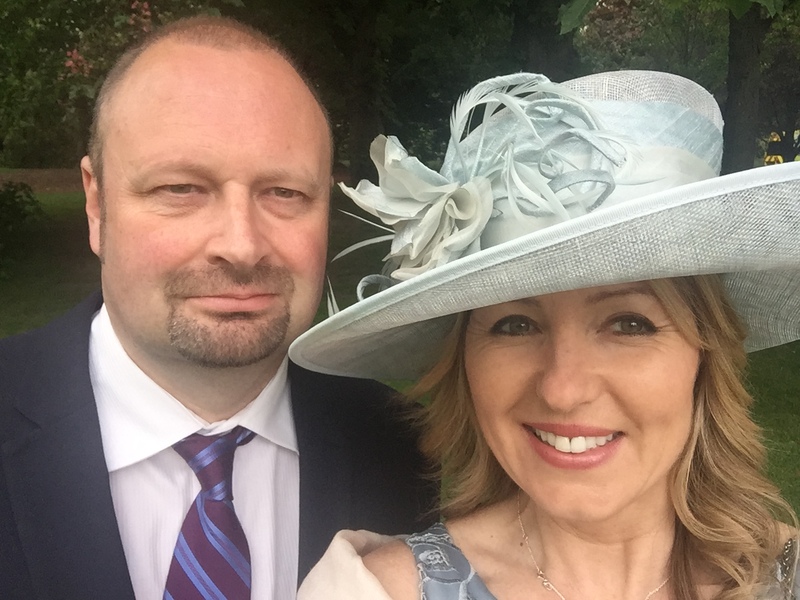 She is a Governor at one of her local GP practices and has been a member of The Link and a patient representative on the NICE Implementation Group of the North Staffordshire Local Health Economy. She is also a Member of Healthwatch, as well as a School Governor within Biddulph. “I thoroughly enjoy my role as a Governor and I have gained a real insight into what life in the service entails. I have been fortunate enough to see children being instructed in CPR and becoming knowledgeable in the use of a defibrillator to help save a life. The Council of Governors consists of 26 Members; 15 Public Governors, 5 Staff Governors and 6 Appointed Governors. Each of the public and staff Governors are elected by their local communities or staff group via a ballot. The role of the Governor can help shape the future of your ambulance service, can contribute to key decision making and see first-hand how the front line works by undertaking observational shifts with our dedicated ambulance crews. Thursday 2nd June 2016 – 5.05pm – Jamie Arrowsmith. A young boy has been airlifted to Birmingham Children’s Hospital after falling from a motorised scooter this afternoon. West Midlands Ambulance Service was called to the Castle Grounds in Tamworth at 12.30pm and sent an ambulance and the Midlands Air Ambulance from Cosford with a doctor and a critical care paramedic on board, to the scene. A West Midlands Ambulance Service spokesman said: “Crews arrived to find a boy, believed to be 10-years-old, who had fallen from a scooter whilst riding down a hill near to the castle. “The boy, who was suffering from a reduced level of consciousness on arrival of ambulance staff, was treated for a serious head injury. “Once his condition had been stabilised he was carefully moved to the awaiting air ambulance, which had landed by a nearby river, before being flown to Birmingham Children’s Hospital. Thursday 2nd June 2016 – 4.20pm – Claire Brown. A lorry driver has been taken to a major trauma centre after suffering serious leg injuries after his lorry collided with metal fencing and a shipment container in Stoke-on-Trent. West Midlands Ambulance Service was called to Draycott Cross Road in Brookhouse Industrial Estate, Cheadle, shortly before midday (Thursday). A community paramedic, the Midlands Air Ambulance from Tatenhill, a senior paramedic officer and two North Staffs BASICS doctors attended the scene. A West Midlands Ambulance Service spokeswoman said: “Ambulance staff arrived to find the lorry driver, a man in his 30s, out of the cab and on the floor. “Upon assessment by ambulance staff and the doctors, it was clear the man had sustained serious leg injuries which required trauma dressings and pain relief to help manage his discomfort. Thursday 2nd June 2016 – 3.20pm – Claire Brown. An elderly man was pulled out of the River Wye in Hereford this morning by ambulance staff after being spotted in the water by passers-by. West Midlands Ambulance Service was called to the river by the rugby pitch in Hereford at 9.15am (Thursday). Two ambulances and a paramedic area support officer attended. Thursday 2nd June 2016 – 1.20pm – Claire Brown. A motorcyclist who suffered multiple injuries following a collision in Rubery needed advanced pain relief by ambulance staff this morning. The incident happened on the A38 heading towards junction 4 of the M5 at 10.30am (Thursday). An ambulance, a community paramedic, a paramedic area support officer, a senior paramedic officer and a West Midlands Central Accident Resuscitation Emergency (CARE) team doctor attended the scene. A West Midlands Ambulance Service spokeswoman said: “The motorcyclist, a man believed to be in his 20s, sustained multiple injuries after coming off his bike. The team of ambulance staff and the doctor administered advanced pain relief to the man in order to stabilise his condition at the scene. Once the drugs had taken effect, the man was fully immobilised using a neck collar, spinal board, leg splint and pelvic splint to prevent further movement. Thursday 2nd June 2016 – 12.00pm – Murray MacGregor. A community first responder (CFR) group in the West Midlands has been given the most prestigious award a voluntary organisation can get. The group work with West Midlands Ambulance Service to respond to life threatening 999 calls in their local communities. CFRs are equipped with a defibrillator, oxygen and a first aid pack, they are responded at the same time as ambulance resources, but due to their location will often get to a patient just before the ambulance and are therefore able to start potentially life-saving treatment. As well as providing care for people in their local area, the CFRs spend a considerable amount of time teaching other people the skills and knowledge such as CPR sessions onto other local community organisations. 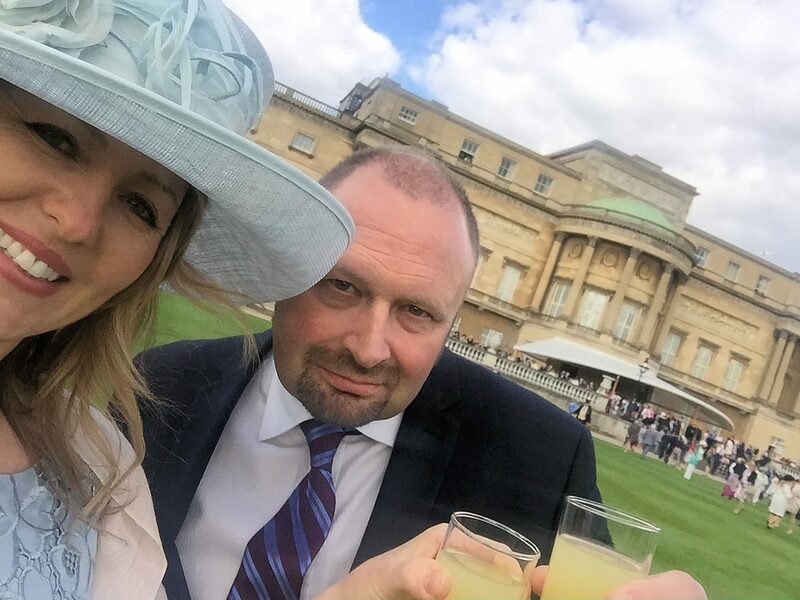 Samantha Jackson and Mark Lines from FastAid attended a garden party at Buckingham Palace on Tuesday 24th May where they met the Queen and other winners of this year’s award. Sam Jackson Trustee and Co-Ordinator of FastAid said: “We are absolutely delighted to have been given this award. It is clearly a testament to the efforts of all those involved in FastAid, who give up their time voluntarily to help those in need of medical care. The fact that this award has been received in this, our 10th year of operation, means it is even more special. Andy Jeynes, Community Response Manager for Birmingham and Solihull, said: “There are many patients alive today because of the work of community first responders. Even though they might only get to a patient a matter of minutes before an ambulance, starting CPR (cardiopulmonary resuscitation) earlier can make a massive difference to the chances of the person surviving. WMAS Chief Executive, Anthony Marsh said: “Getting this award is a fantastic achievement for FASTAID and shows the value that such groups play in the community they live and work in. 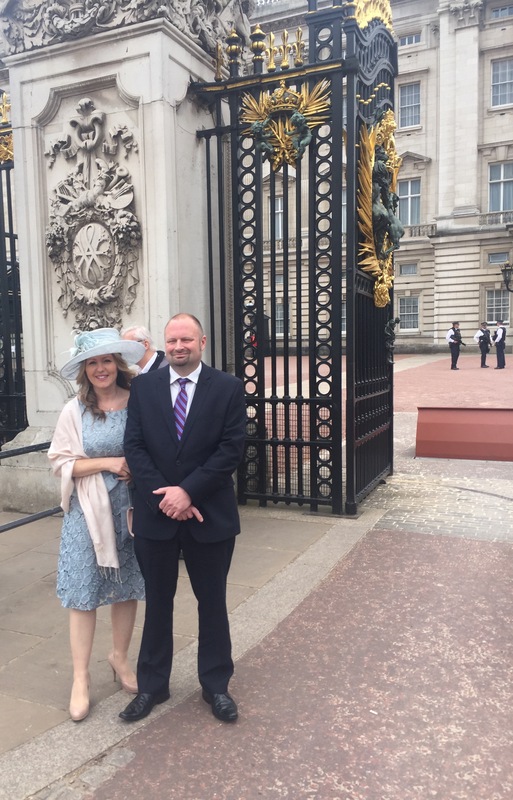 Pictures show Sam Jackson (Co-ordinator) and Mark Lines (group member) member at Buckingham Palace. 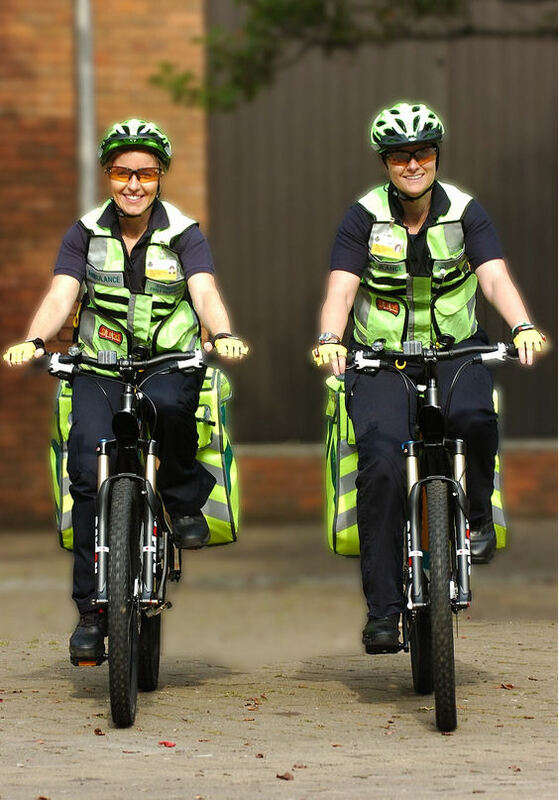 There are also pictures of two of the group providing a cycle response unit in Solihull and one of their vehicles. FastAid is one of 193 charities, social enterprises and voluntary groups to receive the prestigious award this year. The number of awards given to groups this year is slightly higher than last year, showing that the voluntary sector is thriving and full of innovative ideas to tackle community challenges. The awards were created in 2002 to celebrate the Queen’s Golden Jubilee and winners are announced each year on 2 June – the anniversary of the Queen’s Coronation. Thursday 2nd June 2016 – 10.00am – Claire Brown. Two men have died, another is in a critical condition and five other people needed medical treatment following a road traffic collision on the M5 motorway on the Worcestershire / Gloucestershire border in the early hours. West Midlands Ambulance Service received a 999 call from the police to reports of a road traffic collision on the southbound carriageway of the M5 between junctions 8 and 9, Tewkesbury, at 1.15am this morning (Thursday). Three ambulances, a paramedic area support officer and the Trust’s MERIT trauma doctor were sent to the scene. Due to the location of the incident, South Western Ambulance Service were also responded and sent additional ambulance resources including a doctor and Hazardous Area Response Team (HART) paramedics. A West Midlands Ambulance Service spokeswoman said: “Upon arrival, the emergency services found a car which had been involved in a serious collision with four men inside. Sadly, nothing could be done to save two men and they were confirmed dead on scene. A third man was in a critical condition and received advanced trauma care by ambulance staff and the trauma doctor at the roadside before being alerted to Queen Elizabeth Hospital Birmingham. The man remains in a critical condition. A fourth man was given trauma care for back and leg injuries before being taken to Gloucestershire Royal Hospital. “Four other patients from other vehicles involved in the collision were assessed and treated by South Western Ambulance Service colleagues. Despite the distressing nature of the incident, the two ambulance services together with police and fire colleagues worked as a team to provide excellent patient care on scene. Did you know that members of the public can volunteer to become a Governor for West Midlands Ambulance Service NHS Foundation Trust? This volunteer’s week, we are celebrating the role of the Governor by providing you with an insight into some of what the role entails and profiling a handful of the Governors that sit on our council. The Council of Governors represents the local community, staff and key partnership stakeholders interests. It consists of 26 Members; 15 Public Governors, 5 Staff Governors and 6 Appointed Governors. Each of the public and staff Governors are elected by their local communities or staff group via a ballot. One of the most significant obligation for Governors is the duty to hold the Non-Executive Directors individually and collectively to account for the performance of the board directors; and represents the interests of the members of the Trust and the interests of the public. In addition, Governors are asked to sit on a variety of panels to assist in the development of the service ensuring the best care possible is delivered to the community. Governors must be a member of the Trust (to sign up, please visit https://www.nhs-membership.co.uk/cms/trust.php?id=119A479D701040AFA83133FC2C38EF0E), be over the age of 16 and live within the area covered by the Service (Birmingham, Black Country, Worcestershire, Herefordshire, Shropshire, Coventry, Warwickshire and Staffordshire). Kick starting our Governor awareness week is Adam Williams. 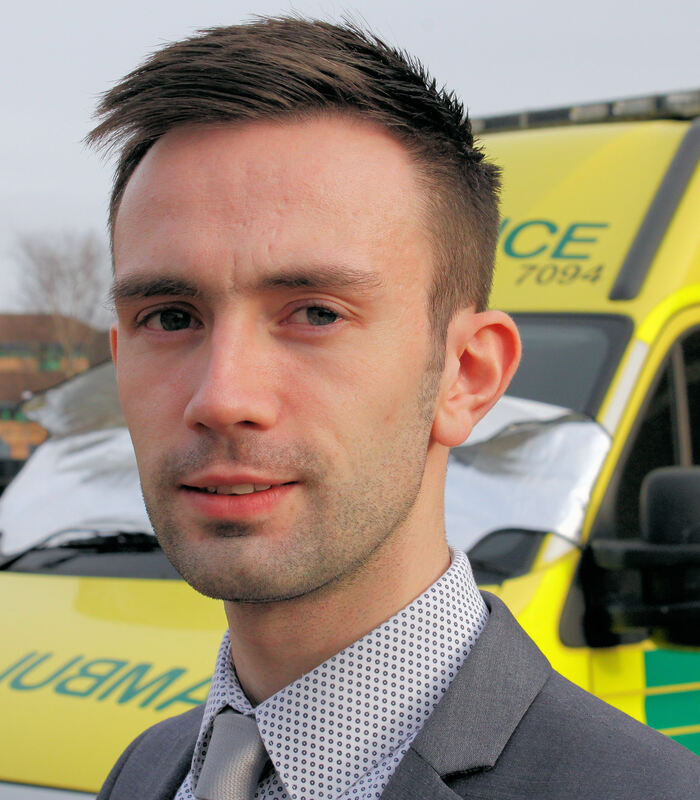 Adam is one of three Governors that represents the Birmingham constituent on West Midlands Ambulance Service’s Council of Governors. Adam knows all too well of the importance of volunteering, his role outside of the Trust sees him heading up the volunteering strategy for St. John Ambulance. Alongside his working role, Adam has also volunteered as a Community First responder and a School Governor. “Being a volunteer not only provides me with the opportunity to represent the views of members of the public but it also provides me with the opportunity to expand my knowledge and understanding of governance, leadership and management. Adam also sit on the Remuneration, Terms of Service and Nominations Panel for the Trust. One of the many duties the panel has is to oversee the appointment processes for the Chair and Non-Executive Directors and making recommendations to the Council of Governors.